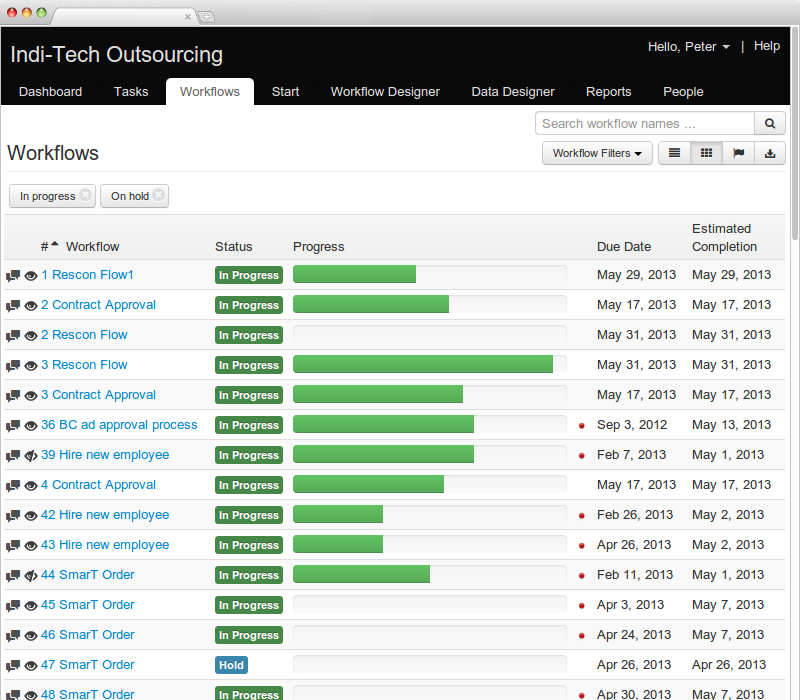 This view shows you all your workflows and a summary of its progress. If you're used to managing your workflow in a spreadsheet today you will feel right at home in this view. 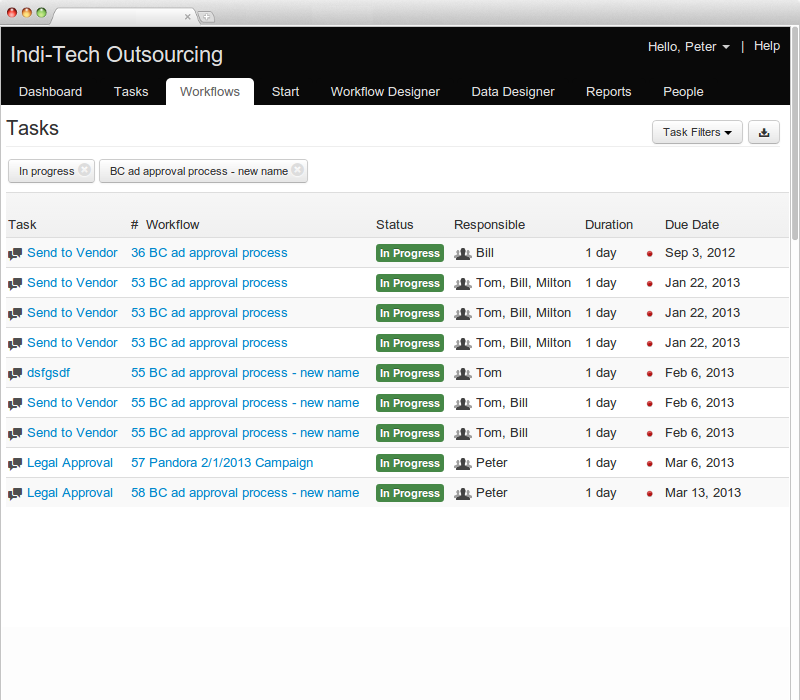 You can also filter this view to only show your critical path items. This view shows all your tasks and their current status. 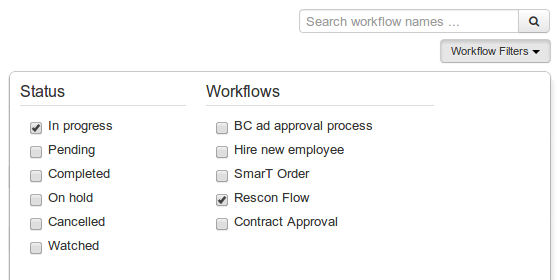 The view also provides flexible filtering options so you can quickly find specific tasks. 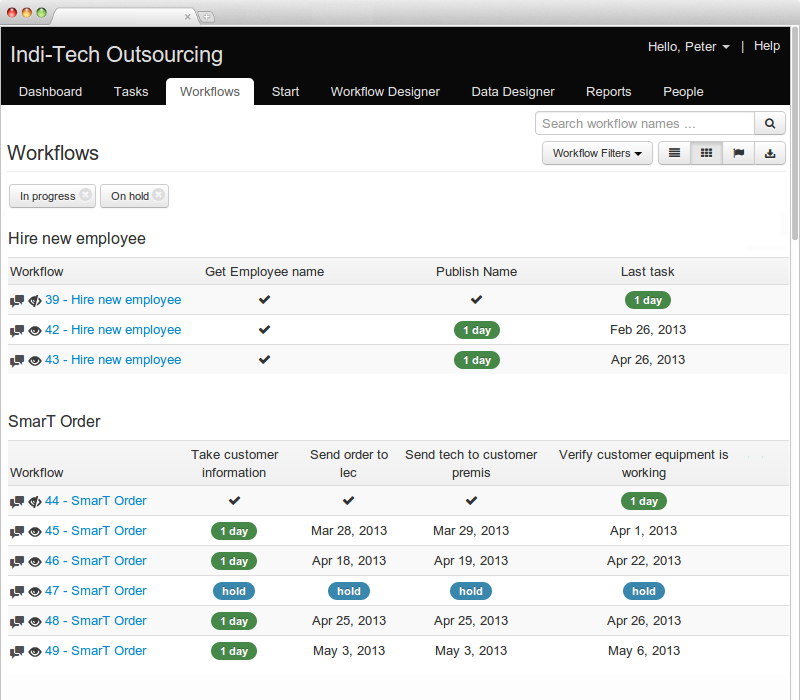 Create, Manage and Use your Workflows. 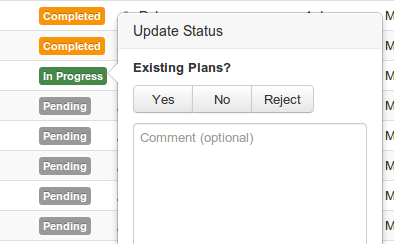 Flowmingo allows you to change a workflow or tasks status just by clicking on the current status. You can also change assignments, leave comments, or view details. Powerful filtering is at your disposal. you can filter on status, users, or workflow.